What Are the Differences Between a DVR and a DVD Recorder? Digital video recorders (DVRs) and digital video disc (DVD) recorders have certain similarities. They both serve as replacements for VCRs. A DVR records television shows to an internal drive, while a DVD records shows to removable optical discs that are playable on computers and elsewhere. A DVR is a stand-alone recording device that records to a built-in drive. It works in conjunction with a cable, satellite or over-the-air antenna signal to record television. The channel the DVR is tuned to is being constantly recorded, which allows the viewer to pause and rewind live TV. The DVR includes some type of Electronic Programming Guide (EPG) for scheduling TV shows to record hours or days in advance. A DVR is not a particularly portable device. Examples of a DVR include TiVo and cable boxes. A DVD Recorder with a built-in drive is also a stand-alone recording device, but it does not allow users to pause and rewind Live TV. The purpose of a drive in these devices is to offer storage for many TV programs that can subsequently be recorded on DVDs. In addition, you can record straight to DVD. The recorded shows are highly portable because the discs they are recorded on can be viewed on any DVD player. DVD recorders with drives often include an EPG for scheduling recordings. There are many DVD Recorders with drives available from consumer electronics companies such as Sony, Panasonic, Toshiba, and others. Some machines blur the lines between DVRs and DVD Recorders with built-in drives. 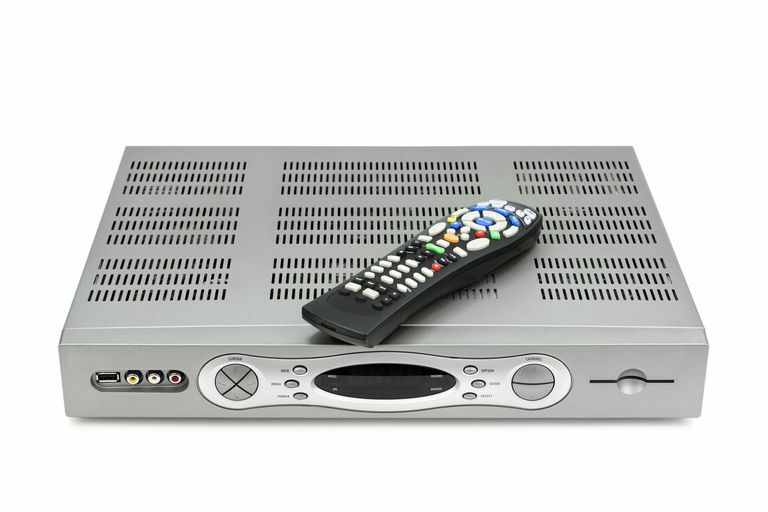 The Humax DVD Recorder with built-in TiVo or the Toshiba RD-XS34 DVD Recorder with a built-in 160GB hard drive are both good examples of machines that blend DVR capabilities with DVD recording.